What does it mean to be “spiritual”? Is it reading the Bible, praying, and worshiping in proper amounts and in a prescribed fashion? 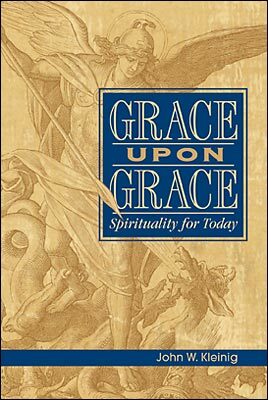 In Grace Upon Grace: Spirituality for Today, Dr. John Kleinig responds to those who long for spiritual fulfillment, clarifying that there is no process for becoming spiritual. Instead, God graciously gives to us every spiritual gift that we need, beginning with the very gift of faith in Christ, our Savior. Thus “Christian spirituality is, quite simply, following Jesus. It is the ordinary life of faith in which we receive Baptism, attend the Divine Service, participate in the Holy Supper, read the Scriptures, pray for ourselves and others, resist temptation, and work with Jesus in our given location here on earth” (from the Introduction to Grace Upon Grace). The following is an excerpt from the first chapter of Grace Upon Grace. At Baptism we were marked with the cross to indicate that we belong to Christ. We have His brand on us. Through His death He has redeemed us from death and given us eternal life with Him in the presence of the Father. Together with Him, we pass through death to life. Our whole life, then, is marked by the cross and lived under the cross. On our journey from earth to heaven we travel with Jesus on the way of the cross. The self-sacrificial death of Christ shapes our spiritual life and gives our lives their paradoxical character. So Christ’s sacrifice reverses and revises all common notions of spiritual progress. We all, quite understandably, long for some evidence of spiritual development and improvement, for some clear proof that we are on the right track as disciples of Christ. Nothing is more discouraging than failure, the sense that we are bogged down and are getting nowhere in our spiritual journey. The image that appeals to me most is the picture of my life as a spiritual journey from the darkness to the light (Proverbs 4:18) as I go from strength to strength (Psalm 84:7) and from glory to glory (2 Corinthians 3:18). 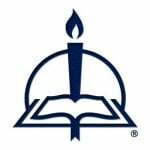 Yet this progressive understanding of the spiritual life is not backed up by my experience and by the teaching of the New Testament. There is progress in the spiritual life, but it is a kind of reverse or paradoxical progress, our baptismal progress out of our old selves and into Christ. The journey of Moses into God’s presence is an apt symbol for the odd progress in our spiritual life: the progress takes us through the darkness, rather than from the darkness, into the light of God. As we mature in faith, we move away from pride in ourselves and our own achievements to a gradual awareness of our spiritual failure and Christ’s work in us as we entrust ourselves to Him. We move away from the conviction that we are self-sufficient to the repeated experience of spiritual bankruptcy. We move on from delusions of our spiritual importance to a growing sense of our utter insignificance and the glory of God. We move on from delight in our own power to the painful recognition of our spiritual weakness. We are brought from our self-righteousness to the increasing consciousness that we are sinful. In each of these painful realizations, we recognize the glory of God. Christ fills our emptiness and justifies us by grace. In short, the power of Christ is made perfect in our weakness (2 Corinthians 12:9). . . . In our human lives, growing up involves the gradual shift from dependence to independence. But the reverse is true for us as we grow spiritually. On our journey we become more and more dependent on Christ for everything in every situation. We do not then proceed from childhood to adulthood; we move forward into spiritual childhood as we grow in faith and become people of prayer. Hence Jesus tells us to become as little children to receive our full royal inheritance as sons and daughters of God (Matthew 18:3). As we mature in faith we learn to borrow all that we need and all that we are from Christ. Only as beggars do we have access to the Father’s presence and His grace. Only as we receive grace upon grace from His fullness (John 1:16) can we praise Him in the heavenly choir (Ephesians 1:3–14). Jesus set down the terms for our spiritual life quite clearly at the beginning of His ministry. After He had been baptized and before He called His first disciples, He began to preach this simple message: “The time is fulfilled, and the kingdom of God is at hand; repent and believe in the gospel”(Mark 1:15). On the one hand, Jesus calls us all, no matter who we are, to repent. By repenting we admit our spiritual bankruptcy and turn to God as beggars to ask for His mercy and grace. Our repentance is not just an initial act or an occasional event in our journey with Christ; it is a daily event, a lifelong process. Our whole life is a process of conversion from ourselves to God, a dying to self that is complete only when we die. On the other hand, Jesus also calls us to believe the good news of God and His gracious kingly rule. By believing, we receive pardon from sin and access to the Father’s grace as His royal sons and daughters; we become receivers of God and His good gifts to us. This reception does not just happen initially at the beginning of our journey or occasionally when we need a hand. Our whole life as disciples is a process of receiving grace upon grace from God the Father. God deals with us in a strange way as we travel on our course here on earth. Little by little He strips us down, until at the end we are left with nothing except our bare fragile human soul, a soul that relies on Him utterly for its existence. Then He strips us of our soul in death. He takes away everything that we have in order to give us everything that He has in store for us. His purpose in this gradual demolition of us is to give Himself ever more fully to us and to bless us in the heavenly realms with every spiritual blessing in Christ (Ephesians 1:3). He brings us through the darkness of dying and death with Jesus to usher us completely into the light of His radiant face. 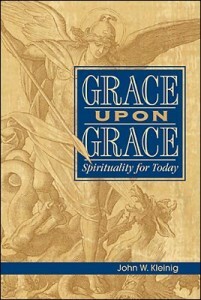 To order Grace Upon Grace, please contact CPH at 800-325-3040 or visit www.cph.org.